Succulents are plants that are able to store water in their stems and leaves, enabling them to live for long periods of time without water. They are similar to cactus but without the thorns (usually). This is a very large grouping of plants with many different colors, leaf shapes and growth habits. Most succulent plants flower during the year too, many during the dead of winter when little else can be coaxed into flowering. 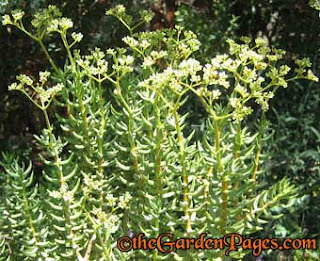 Crassula ovata or Jade plants are shrubby plants that make excellent choices for dry gardens and container plants. 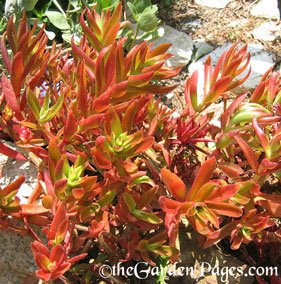 Jades have thick, deep green leaves sometimes tinged with red on the edges. The leaf shape, like the name ovata implies, are oval from 1 – 2 inches long. Crassula ovata develop thick, fat trunks that have an aged look and will eventually grow up to 8 feet tall. 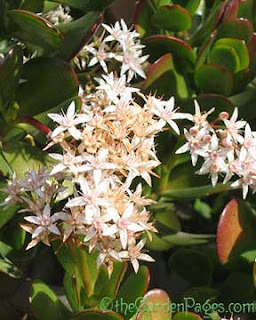 In late winter jade plants get 3 inch clusters of light pink to pale salmon flowers with five petals. Crassula tetragona are drought tolerant succulent plants that look like pine branches with fat needles sticking out the sides, or perhaps a green bottle brush flower. These unique crassula are often used in bonsai containers to look like pine trees. Crassula capitella is sometimes called crassula erosula and has common names like Red Flames or Campfire Plant. It has bright, lime green leaves with flaming orange red tips. These plants can take full sun to light shade, but they seem to change color depending on the amount of sunlight they get. When grown in shade, they are bright apple green most of the year. Full sun brings out more red on the leaves. 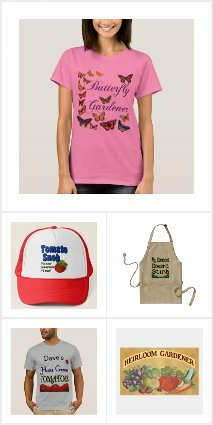 Read all my posts about the diverse Crassulaceae family here… Happy gardening!